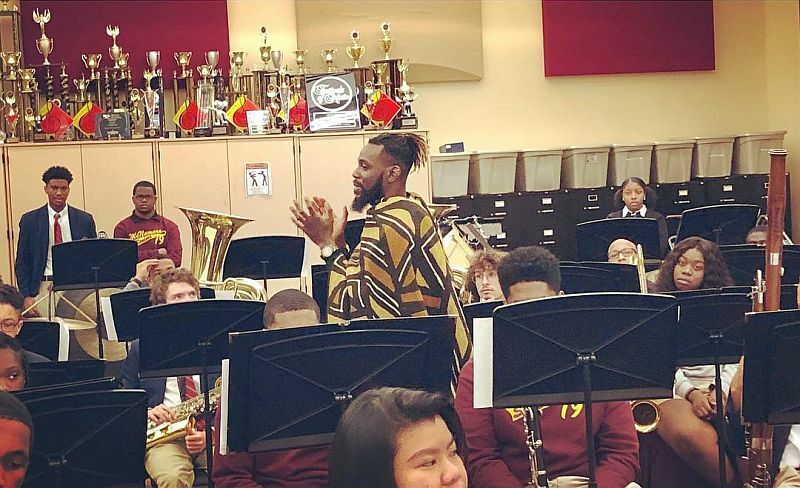 Bishop McNamara High School welcomed a special guest to conduct a clinic for our students in Wind Ensemble on March 5th. 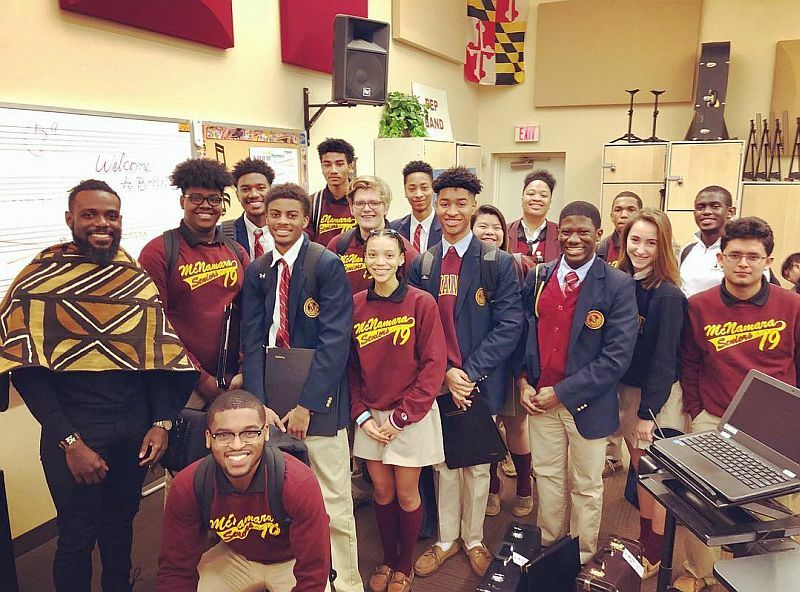 The renowned composer and Peabody Conservatory Faculty member, Omar Thomas, visited BMHS to work with our students on his composition, Of Our New Day Begun. The piece was written, according to Mr. Thomas, "to honor nine beautiful souls who lost their lives to a callous act of hatred and domestic terrorism on the evening of June 17, 2015 while worshiping in their beloved sanctuary, the historic Emanuel African Methodist Episcopal Church (affectionately referred to as "Mother Emanuel") in Charleston, South Carolina." The piece is based on Lift Every Voice and Sing. Mr. Thomas, who teaches Music Theory at Peabody Conservatory, was thrilled to be a part of the rehearsal of his composition, which will be performed by the Wind Ensemble in Chicago and during our Spring Concert on May 10th. For more about the composer, go to Omar Thomas and for more about the piece, go to Of Our New Day Begun. 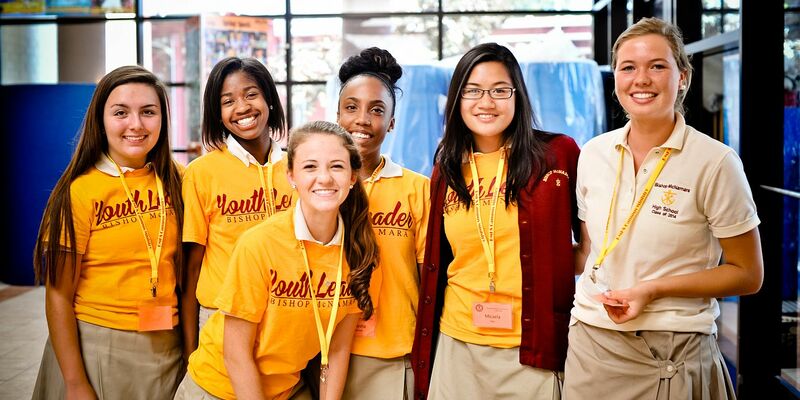 For information about the Fine Arts Band and Orchestra program at Bishop McNamara High School, contact Mr. Anthony Conto.